"We routinely use PUF to lock culverts in place when stabilizing shaft collars or adit portals prior to installing bat gates for protection of abandoned mines used as bat roosts. PUF is ideal for the purpose and often eliminates the need for any heavy eart"
"The New Mexico Abandoned Mine Land Program has used polyurethane foam to construct numerous closures at abandoned mines. Many of the abandoned mine shaft and stope closures, especially those required to preserve bat habitat inside the mines, would not be possible without the use of polyurethane foam. It’s combination of ease of use and light weight have made it possible to safely close some extremely nasty, collapsing mine openings to protect the public while meeting the needs of bats." "We used Foam Concepts, LLC Equipmentless Foam Sealant (EFS) to close four shafts at high elevations in remote southwest Montana. The shaft diameters ranged from four to twenty feet and the shafts were all more than 100 feet deep. The product was easy to use and the closures were quick and cost effective." 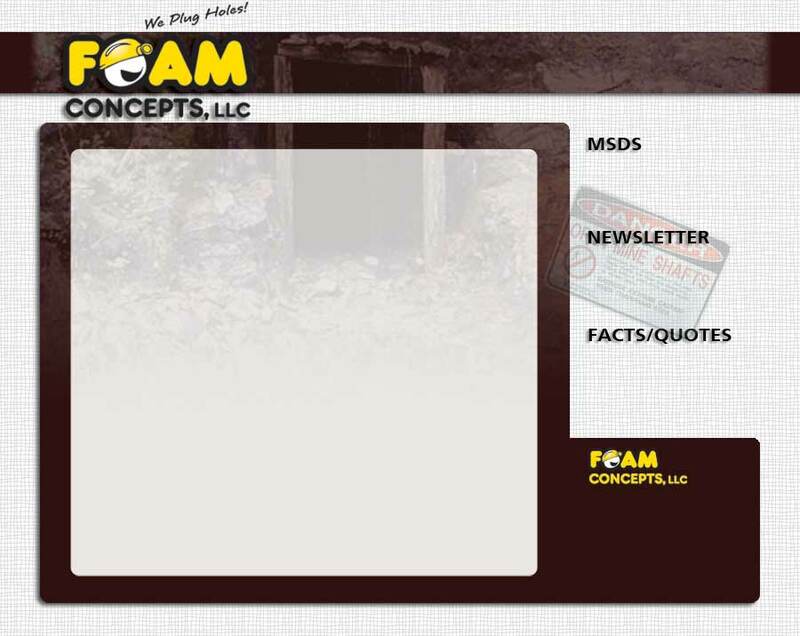 Dan Adams, Mine Reclamation & Closure Services Inc.
"Foam Concepts is a principal supplier of PUF to the US Forest Service."